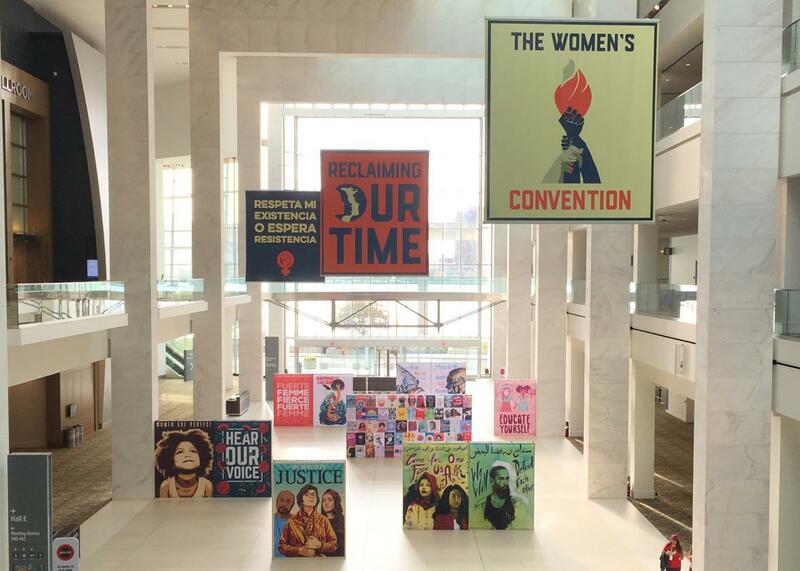 Kirsten Gillibrand and Amy Klobuchar applaud grassroots activists in Women's Convention speeches. Both senators credited Women’s March attendees with creating momentum that defeated Trumpcare, among other things. It would be hard to imagine a friendlier audience for the rousing calls by Gillibrand and her colleague, Sen. Amy Klobuchar of Minnesota. The room was packed with thousands of progressive women eager to hear that their voices matter, that someone in Washington feels their frustration with the current administration, and that the arc of America is still reaching ever so slightly toward justice. At several points, Gillibrand and Klobuchar were each interrupted with standing ovations. Both senators urged the attendees—who came to Detroit to learn how to turn their enthusiasm for the movement into action—to believe in their own power to effect change, even with a troll in the White House and Republican majorities in both chambers of Congress. At a nearby hotel restaurant after the event, Klobuchar told me the momentum captured by the Women’s March has already made an impact. “Without that grassroots activism and people feeling that they could stand up, we would not have had that health care bill defeated,” she said, recalling the nationwide protests against Trumpcare.